Autonomous and connected vehicle technology is expected to transform the nation’s transportation system over the coming decades, with major implications for the planning and design of cities and regions. Autonomous vehicles (AV), also known as driverless or self-driving cars, have been sharing city streets for several years. While private companies such as Google and Uber move forward with research, development, and pilot applications, and agencies such as the National Highway Traffic Safety Administration focus on deployment and safety issues, cities and regions need guidance so that they can prepare for the impacts of this transformative new technology. From this page you can search for resources that provide background on autonomous vehicles and examples of how their widespread adoption will impact the transportation network and the built environment, as well as recommendations for policies that communities should consider to prepare themselves. And you can filter these search results by various geographic and demographic characteristics. This PAS Report advises planners on how to prepare for and manage transitions to ensure their communities reap the benefits — and avoid the pitfalls — of autonomous vehicle technology. This report connects findings from a symposium and research on autonomous vehicles to prepare communities for changes in land-use planning, urban design, and transportation related to autonomous vehicles. This web page contains information on APA's work to develop a playbook for cities and regions to maximize the benefits and minimize the potential negative consequences associated with the deployment of autonomous vehicles. It features four videos from a October 2017 symposium. This December 2017 edition of Zoning Practice discusses basic facts about driverless cars and summarizes how changes in travel behavior associated with fully autonomous vehicles will likely affect local zoning codes over the next 20 to 30 years. This April 2017 Planning article outlines how autonomous vehicles will impact the built environment and the need for planners to take the lead in directing the impact of AVs on our communities. Planning editor in chief Meghan Stromberg has a conversation with Josh Westerhold, senior manager of Nissan’s Future Lab in the Planning magazine April 2017 issue. The Commissioner addressed city policy opportunities related to driverless vehicles in December 2016. This May 2015 Planning article considers the optimistic and pessimistic views of the impacts of driverless vehicles and suggests what planners can do to prepare. This recorded session from NPC 2017 discusses the future of cities through three main trends: the use of technology in smart city design, the increase in automated vehicles and their effect on transportation and land use, and a focus on sustainable design. This video featuring Rohit Aggarwala of Sidewalk Labs delves into the complex issues surrounding the future of technology’s role in the realm of planning and contemplates if 21st century technology make cities more attractive, or less. This course presents the results of facilitated sessions at the 2015 Florida Automated Vehicle Summit where planners, engineers, academics, auto industry representatives, and elected officials collaborated to envision the future with automated vehicles. This APA Learn course focuses on the impact of autonomous vehicles on public space and how to create priorities, principles, and tools to address this impact. This APA Learn course discusses the range of opportunities and challenges in autonomous vehicles as agents of sustainability. This APA Learn course explores the connection between autonomous vehicles and land use to help envision the future of development. This APA Learn course adresses the many impacts autonomous vehicles will have on land use, planning, and work and life preferences. Access to transportation is closely linked to opportunities for employment, education, healthcare, and recreation. If autonomous vehicles are thoughtfully implemented with access and equity in mind, AV technology can expand access to these resources for users of all ages, abilities, and incomes. However, cities must take an active role to ensure that AV does not reinforce existing disparities in access. As the transportation industry, particularly the freight sector, transitions to fleets of autonomous vehicles, there will be economic implications in terms of job loss and dislocation. Policymakers and job training organizations will need to be cognizant of the impact on access to stable, well-paying jobs, as well as the skills required by those jobs. Autonomous vehicles will have a profound impact on the transportation ecosystem. The first use cases are expected to come in the form of fleets for shared mobility providers and freight transportation, in part due to the high costs associated with AV technology that will hinder mass adoption by private users. In addition to being a potential early adopted of AV, transit providers will need to take steps to ensure that the technology is used in way that enhances and improves the mobility of their riders. The widespread deployment of autonomous vehicles for cities and metropolitan regions will change the way we design our public rights-of-way. Sensors will allow autonomous vehicles to travel closer together than human-controlled vehicles, reducing the necessary pavement width and freeing up space for wider sidewalks, bike lanes, and other amenities. Local zoning codes will need to address requirements for passenger loading and unloading, and parking needs will change drastically if a shared use model is employed. As cities transition away from ordinances that now require large amounts of land to be used for parking and circulation, they will need to determine how best to make use of that “extra” land through new approaches to land use and zoning. This website contains up-to-date, real-time information about state autonomous vehicle legislation that has been introduced in the 50 states and the District of Columbia. This guide provides an overview of AV technology and answers frequently asked questions for city leaders on manufacturers, public policy considerations, municipal coordination, and infrastructure investment. This web page inventories how cities around the globe are preparing for the transition to a world with AVs. This report focuses on the nexus between mobility and technology and draws conclusions from a variety of sources, including existing literature, expert interviews and transportation plans. This federal policy provides agency guidance to speed the delivery of an initial regulatory framework and best practices to guide manufacturers and other entities in the safe design, development, testing, and deployment of highly automated vehicles. This briefing paper offers insights on the big trends taking shape in AV, and the consensus among experts about the nature and pace of future developments over the next 15-20 years. This article offers ten suggestions for cities to consider how autonomous vehicles can help maximize mobility for the greatest number of people, with the most positive outcomes for society. This report presents background information on AV technology, the roles of state and federal government, and considerations for state policy. This report analyzes the potential effects of autonomous vehicles on greenhouse gas emissions in Portland, Oregon; Seattle; and Vancouver, British Columbia. This report provides guidance on how states should prepare for an automated future by adapting their approach to motor vehicle regulations, infrastructure investment, and research. This report provides actions for agencies seeking to increase the social benefit of automated and connected vehicles. This report discusses connected and autonomous vehicle technology, federal and state level policy approaches, and considerations for moving forward with autonomous vehicles in Kentucky. This report summarizes plenary sessions focused on institutional and policy issues, infrastructure design and operations, planning, and modal applications. This article explores how autonomous vehicles could affect the attractiveness of traveling by car, how this in turn could affect mode choice, and how changes in mode choice would affect the broader transportation system. This article offers an introduction to the regulatory landscape and challenges that come with automated vehicles. This article examines the prospective public health implications arising from the widespread adoption of fully autonomous vehicles and analyzes how they can be considered in the development of transportation policy. This article states that the best of AV technology is in shared vehicles and a new generation of transit options. This article looks at the potential for driverless cars to enable beneficial changes in land use. This article highlights the labor savings that can result from replacing human with machine labor and the separation of vehicle from owner/operator made possible by the technology. This research brief examines the current state and potential benefits of autonomous vehicles and provides guidance for policymakers. Can We Advance Social Equity with Shared, Autonomous and Electric Vehicles? This brief focuses on the need for autonomous vehicle policy development to have an intentional focus on equity so that it does not exacerbate existing barriers or increase inequality. This briefing paper explores how revolutions in vehicle sharing, automation and electrification present new challenges and also great opportunities for land use and transportation planners. This paper illustrates how technological advancements, including autonomous vehicles, will introduce data privatization challenges and destabilize existing governance systems. This paper explores the feasible aspects of AVs and discusses their potential impacts on the transportation system. 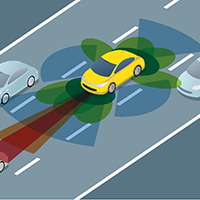 This guide provides safety recommendations for autonomous vehicle adoption. This guide explores policy issues, communications, regulation and standards, and liability issues raised by the autonomous vehicle technology and concludes with some tentative guidance for state and federal policymakers. This guide presents key challenge areas related to AV, pedestrians, and bicyclists that should be at the center of AV discussions along with a glossary of important terms and key references. This guide identifies how Seattle and other municipalities can support autonomous vehicles in urban spaces. This guide outlines the role of government in the integration of driverless vehicles in society. The region’s comprehensive plan discusses autonomous vehicles, creative placemaking, and environmental resources. This comprehensive plan belongs to the Autonomous Vehicles, Smart Cities, and Urban Agriculture collections. This comprehensive plan discusses future trends that impact transportation systems, including autonomous vehicles. This functional plan provides recommendations from the city of Arlington, Texas's Transportation Advisory Committee on how to best connect citizens to and from destination points within six priority corridors. This functional plan belongs to the Autonomous Vehicles and Smart Cities collections. The long term mobility plan for the city of Boston includes a set of goals and inspirational targets, along with a set of projects and policies that aim to provide the transportation network with the necessary flexibility to accommodate disruptive mobility technologies. This functional plan explores the role of transportation technology, including autonomous vehicles, on communities in North Carolina. This transportation plan for the Albany, NY area includes a section on new visions and technology, such as self-driving cars, that will have wide-reaching impacts on future transportation. This functional plan connects autonomous vehicles to sustainable development goals in Cincinnati. This subarea plan includes goals and polices related to autonomous vehicles as part of the Circulation and Streetscape section. This standalone policy supports the development of automated and connected vehicles in Austin. The city's zoning code allows parking reductions to support autonomous vehicles and accessory solar energy systems by right. This staff report contains a draft resolution that was adopted by the city of Palo Alto, CA to create a procedure for allowing autonomous delivery vehicles to operate within the city right-of-way. This clearinghouse contains resources that address different considerations for incorporating autonomous vehicles into transportation systems. This clearinghouse presents research projects related to autonomous vehicle, including reports that assess Florida’s readiness to incorporate autonomous vehicles. This clearinghouse provides links to resources that inform planners about connected and automated vehicles. This web page identifies autonomous vehicles as one of the top ten challenges facing the Atlanta region. This web page summarizes the City of Beverly Hills's initiative to test and deploy a municipal fleet of driverless vehicles. This web page summarizes Boston's plans for testing autonomous vehicles and their potential future within the city. This web page explores four future scenarios related to autonomous vehicles, focusing on mobility, sustainability, jobs and the economy, and urban transformations. This web page identifies six major priorities for policymakers to protect against the risks and maximize the potential benefits of AV. This video discusses five areas where AVs will have significant implications for public policy and service: infrastructure investment, licensing and road traffic regulations, revenue, spatial planning, and security. This video examines the ways in which emerging technologies impact how cities will operate, accommodate growth, manage congestion, improve the economy, increase safety, and improve quality of life. This video considers how rapidly-evolving transportation technology rapidly can be harnessed to improve lives, local communities, and the Chicago region's economy. This video discusses California’s push to modify roadways to accommodate driverless car technology. This video shows how an autonomous vehicle navigates through a city and parks itself without any human input. This blog post discusses how AV operations are expanded and describes actions cities have taken to prepare for autonomous vehicles. This blog post presents highlights from a panel that discussed implementing AV in cities. This blog post summarizes APA's October 2017 symposium on the impacts of AV on cities and regions. This blog post explores three scenarios for implementing autonomous vehicle technology and how they may impact parking demand. This blog post describes and provides visual representations of how adopting AV can improve urban livability. This blog post considers how autonomous vehicles can impact transportation planning and highlights a gap in transportation planning and technological developments.